What do you think? Would you have bought it? 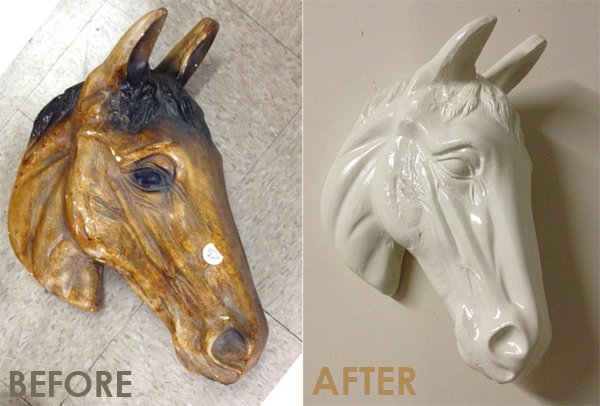 Would you have done something different? The fairies have taken over for Peter Pan - if you have a girl over the age of 2 I am sure you are familiar with Tinkerbell and her fairy friends. 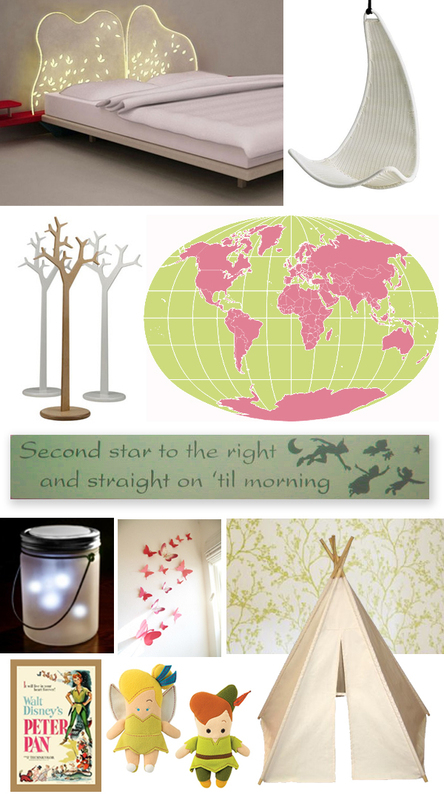 This inspiration board came about from the idea of leaving the fairies behind (for the most part) and creating a Never Neverland room that captures the spirit of adventure and youth. I may have a liquid vessel collection problem. I have a water bottle for every occasion. 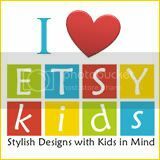 Flip top, screw top, wide mouth, squirt, BPA free, non BPA free, plastic, aluminum, steel, glass, hand held, insulated, etc etc. You name it I probably have it. The rest take up valuable shelf space in the cupboard or sit unused in bins in the garage. What to do with them? And why do we have so many? The Glass bottle collection - My "go-to's" consist of two different sized silicon sleeved bottles and an old Beer Growler I've cleaned out and repurposed to hold the water I need for a full day of activities out on the beach. 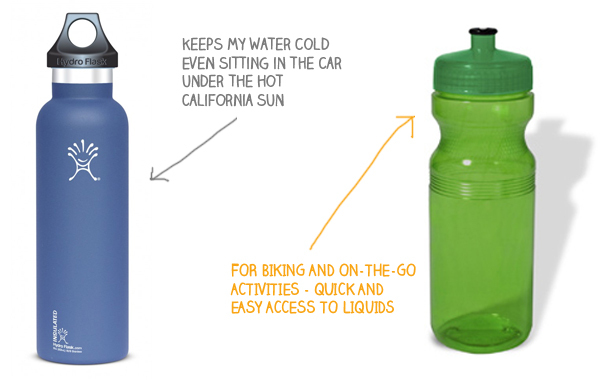 I have an assortment of tried and true #1Plastic squeeze bottles on hand for those quick paced activities -- I usually put my sports drinks in them for biking or swimming or hiking. My new discovery this summer is the insulated bottles. 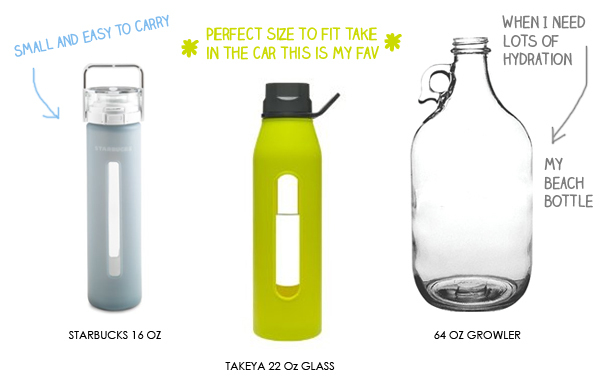 I love these ones from Hydroflask.com They keep your water cold for HOURS. Which is great for car rides or beach days. You can also put hot liquids in them but I haven't tried that yet. Now the problem is that I keep acquiring new bottles -- they give them out now on sets so that the crew is more environmentally conscious. They give them away in race gift bags when you complete anything from a 5k to a triathalon, they are covered in logos and given away as promos at events, schools, bars, stores, etc. 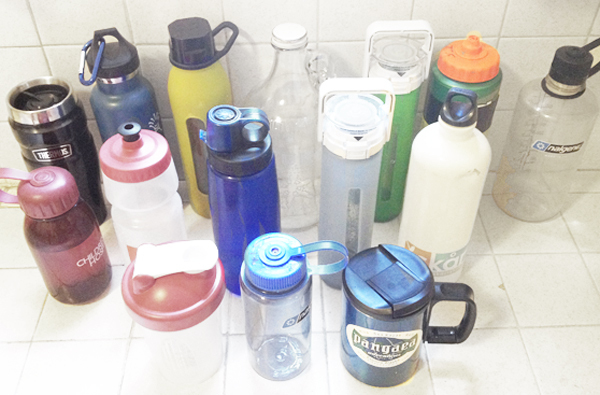 I've started to SAY "NO" to free new bottles (unless they are really cool or something!) But what happens to all these extra water bottles? Where do they end up? Are the non disposal now being disposed of too? And what do I do with the extra 17 I already have? Can you donate them? Who wants used water bottles? 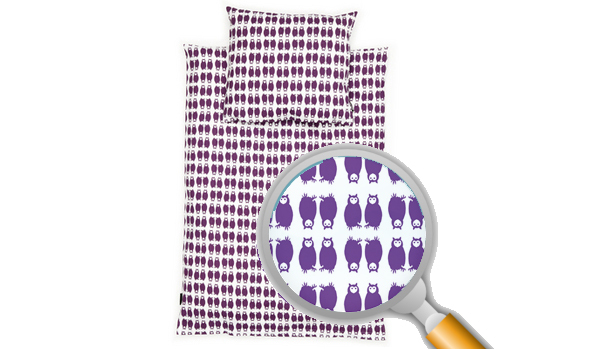 Everyone is asking for purple these days -- And now you can get all the owls in different shades of purple. Or is that an Owl Overload? It all starts with a Teepee! The indecent public proposal which I proposed publicly last week on this very blog has been: Accepted! Does any of this sound weird to anybody else? A big green teepee (or tipi). A big green patchwork tipi. Like a teepee made by boys. A tipi made by wild lost boys. Like a teepee made by Peter Pan’s own lost boys in Neverland. And this was all for a little girl’s room. So, picture it: A big green teepee with Xmas lights tangled in the top and running down each of the six eight-foot tipi poles, and then there are pink camouflage throw pillows and a pink faux-fur-covered mattress, all of which are lighted beneath a paper globe within the center of the tipi—and this is just the start of the thing. But, naturally, and unfortunately, this all news to my dearly newly beloved in all things of a design and decorative nature. And, this, in and of itself, is something new. Designing a nursery, and an entire apartment, over the blogosphere. A virtual design firm, so to speak. It’s something of a revolutionary concept, really. A creative collaboration without verbal conversation. It’s something grandiose, something groundbreaking, something goshdarn magnificent. Soon enough, everybody will be doing it. 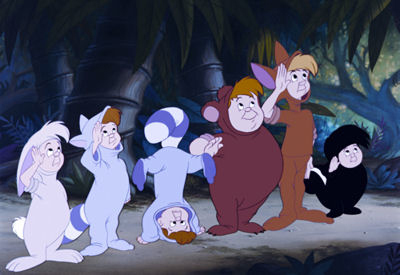 And, to think, it all started with a green teepee, a little eight-foot Peter Pan tipi, a little Lost Boys hideout, a goddamn place where nobody ever grows up, where nobody ever gets old, and where nobody ever has to die. No, truly, how this is how modern collaborations will, and should, take place. This is the wave of the future. This is how business meetings are scheduled to start happening by sometime early next week. Good luck to all of you in the boardroom. Frankly, I am thankful that I'm not there. No, I'm talking about the hilarious, absurdist TV show that my husband just happens to work on called: Children's Hospital. me: "How was your day"
the husband: "They couldn't fit the donkey in the elevator so they decided to go with the chimp instead"
Yup just a normal day for him! I don't actually have the summer blahs. I'm having a GREAT summer! Lots of beach time mixed with some fun jobs, not to mention that last weekend I competed in my first Triathlon. It's actually been an AWESOME summer so far. 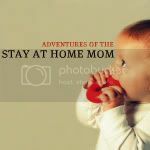 Maybe too awesome, since it seems I've been neglecting my BLOG. For some reason the Bloggy juices just haven't been flowing lately. Perhaps I'm too busy bike riding and playing volleyball?! Or perhaps I got a little burn out preparing for the the Unique SF show and had to take some time for myself. Or maybe I just haven't been creatively inspirited lately. To remedy that, I've started a new personal project. Remember this post about my New Years Resolutions? Well, the year is more than half way over and I am still working on them. Resolution #1 was to eat a salad a day. I've been doing pretty well at it. I miss a day here and there but for the most part I make the effort and actually try to have a salad each and everyday. However, last Friday as I ate my fruit salad in the morning with some friends, I realized that I was not really accountable to this goal I set for myself. 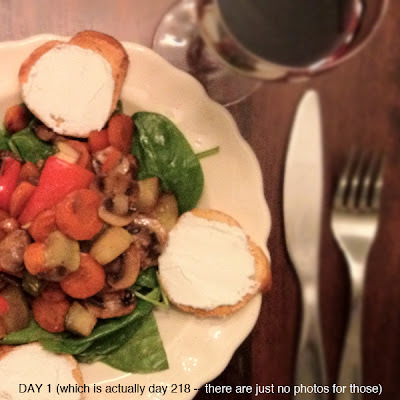 This weekend I came up with the idea to document my salads. Ahhh if only I had thought of this Jan 1st. But alas back then it was BIP for me (before i-phone). So today I've started on a new creative journey. 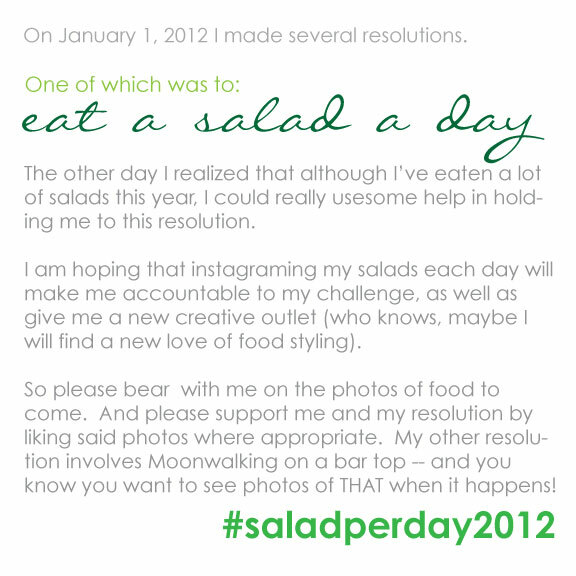 I will attempt to document my salad a day for the world (or at least for my 20 instagram followers). If you are intrigued by this please show your support by following my escapades on instagram by finding me under @theskartist. And if you have any good salad recipes please send them my way... according to my calculations I still have 147 salads to eat in 2012. This Recent Paterfamilias has always hated that guy who proposes in public. That guy who corners his girlfriend at the basketball game, on the jumbotron, on live TV, in front of forty thousand fans who came here to see something else but have now been treated to the thrill of coaxing this woman into lifelong matrimony as that guy, now her guy, forces her to make a decision one way or the other. In the opinion of this humble R.P., this kind of guy is something of a predator who hopes, by pigeonholing his beloved in the public sphere, will almost certainly get the response he wants. This Recent Paterfamilias has always hated that guy. But now, unfortunately, this Recent Paterfamilias has now found himself in the unenviable position of having to become that guy. This R.P. has a friend. And this friend has a baby. And this baby and my baby are best friends. And this is all great. But this friend (the one with the baby and the apartment) needs help. This friend (with the baby and the apartment) has no furniture in her apartment. No, really, they don’t have any furniture. No storage, no rugs, no chairs, no side tables, no end tables, no occasional tables, no accent tables, no baby tables—it is truly a lovely apartment, it’s just that there’s nothing in it. Now, not everybody can have an aptitude for interior design, so it’s fortunate when these poor lost souls have friends like the R.P. (Although I must admit, after she’s read this, my friend [with the baby and the apartment] may no longer be my friend—but we’ll ignore all that for now). And here’s where I get into the strange unwanted uncomfortable position in which I have found myself: I am asking, in a public forum (perhaps the most public forum possible), for the advice, assistance, and hopefully cooperative hand of the lovely S.K. (of SKart) to help her loyal friend, the Recent Paterfamilias, design the interior of this apartment. Now, I have ideas for the space (it’s true, I really do), and people should see this apartment (they really should), it’s big and it’s nice and the before and after pictures on this very blog would make for a nice feature. Plus, there’s a nursery for the kid (the one with the mother and the apartment), and as everybody knows, S.K. can really rock out a kid’s room. And to top it all off, we’d be on a very limited budget! Which would surely prove to make it just that much more challenging for all those creative types involved. So, in front of the Internet public (which is, frankly, everyone): Will you, S.K., do me the honor of co-designing this big beautiful apartment? What do you say, S.K.? Want to make beautiful music together?